“These new agreements with Global Certification Forum (GCF), the International Air Transport Association (IATA), and the Wi-Fi Alliance will expedite the availability and use of more globally interoperable NFC-enabled solutions,” says Koichi Tagawa, chairman of the NFC Forum. The NFC Forum has signed collaboration agreements with three industry consortia, the International Air Transport Association (IATA), the Wi-Fi Alliance and the Global Certification Forum (GCF). IATA is the trade association for the world’s airlines, representing some 240 airlines that account for 84% of total air traffic. 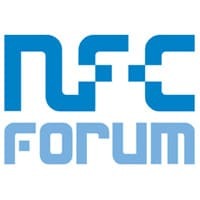 IATA plans to work with the NFC Forum to raise awareness in the market, and help build the ecosystem for NFC. The agreement will include outreach programs such as workshops for airlines and airports, white papers, case studies, webcasts, and events. The Wi-Fi Alliance is a global non-profit industry association of hundreds of companies devoted to seamless connectivity. Under the new agreement, the Wi-Fi Alliance and the NFC Forum will exchange approved documents, share information about program schedules, work jointly on NFC Forum Application Documents describing the use of NFC for Wi-Fi network configuration, cooperate on shared marketing material to promote certification programs, and participate in joint events. GCF is a partnership of network operators, device manufacturers, and the test industry that has created an independent certification program to help ensure global interoperability between mobile devices and networks. Under their liaison agreement, GCF and the NFC Forum will work together to identify certification requirements impacting NFC-enabled Third Generation Partnership Project (3GPP) wireless devices. The partners will also develop processes and procedures to ensure the robustness, reliability, and transparency of NFC-enabled 3GPP wireless device certification and deliver joint announcements and collaborative marketing programs.